eCommerce Development! You are at the right place right now. Custom eCommerce development from Tritiyo Limited ensures that your website is built on a sound business strategy and cutting-edge development technologies. Our experienced project managers work closely with you in order to create a clear strategy with well-defined goals and objectives before we even build your website. As a result, the final project is perfect and especially entrance and shell out. eCommerce Development may sound simple, it requires the clear idea, having the plan, dedication, and expertise – 4 elements exist within Tritiyo Limited services. There are a couple of open source eCommerce Development tools are available. Just set a well-organized idea, do some paperwork, share with us. 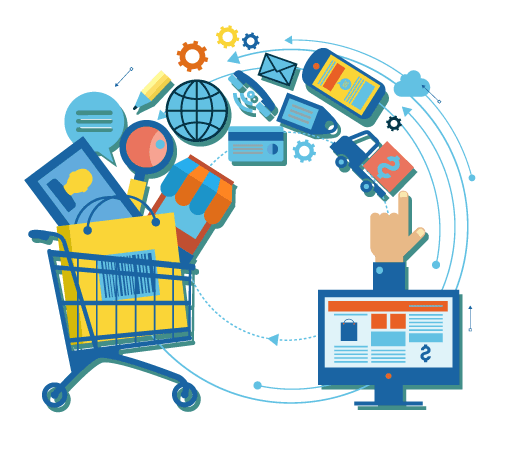 We will suggest you the right eCommerce development platform for your business. In simpler language, eCommerce gets your business to the online world by marketing your product and services on a global platform. Whatever tone you want to set, we can help you achieve it. When you hire the talented and experienced staff at Tritiyo Limited, not only are you getting a tech-savvy team of web developers, but you also experience a heavy dose of marketing genius. We have all the answers you need to keep your online store up and running in the long run and increase its sales. Your life will be easy when we will make your eCommerce so easy. Cheers! Would like to discuss your eCommerce development? Feel free to contact us.